Asatryan Eduard Artushevich – MD, neurosurgeon at the Department of Pediatric. Abramov Konstantin Borisovich – meurosurgeon at the Department of Pediatric Neurosurgery. Mamatkhanov Magomed Ramazanovich – MD, neurosurgeon, senior researcher at the Department of Pediatric Neurosurgery. Lebedev Konstantin Eduardovich – MD, neurologist, senior researcher at the Department of Pediatric Neurosurgery. Efimtsev Aleksandr Yur’evich – MD, head of the scientific research laboratory of radiation imaging, associate professor at the Department of Radiology and Medical imaging, V. A. Almazov FN-WMRC. Zabrodskaya Yuliya Mikhailovna – MD, PhD, pathologist, head of the scientific research laboratory of anatomical pathology, A. L. Polenov RNRI, the branch of the V. A. Almazov FN-WMRC. Sebelev Konstantin Ivanovich – MD, PhD, head of the Radiology Department with angiographic complex. Ryzhkova Dar’ya Viktorovna – MD, PhD, head of Scientific and Clinical Association of Nuclear Medicine and PET center, head of scientific research laboratory of nuclear medicine, professor at the Department of Radiology and Medical Imaging, V. A. Almazov FN-WMRC. Trufanov Gennadii Evgen’evich – MD, PhD, head of the Research Department of Radiology, head of the Department of Radiology and Medical Imaging, V. A. Almazov FN-WMRC. 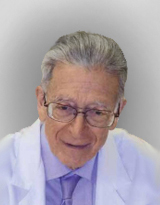 Khachatryan Willilam Aramovich – MD, PhD, Professor, honored scientist of Russia, head of the Department of Pediatric neurosurgery. 1. Mamatkhanov M. R., Lebedev K. E., Sebelev K. I. Neuroimaging at surgical treatment of drug resistant epilepsy in children. Neirokhirurgiya i nevrologiya detskogo vozrasta. 2011; 3: 10-17. 2. Khachatryan V. A., Bersnev V. P., Shershever A. S. et al. Diagnosis and treatment of progressive forms of epilepsy [Diagnostika i lechenie progredientnykh form epilepsii (in Russian)]. SPb. 2008; 264 s.
3. Khachatryan V. A., Mamatkhanov M. R., Shershever A. S. et al. Nonspecific methods of surgical treatment of epilepsy [Nespetsificheskie metody khirurgicheskogo lecheniya epilepsii. Tyumen’ (in Russian)]. 2016; 544 s.
4. Asatryan E. A. The value of morphological changes of the brain in the diagnosis and surgical treatment of symptomatic epilepsy in children. PhD diss. [Znachenie morfologicheskikh izmenenii golovnogo mozga v diagnostike i khirurgicheskom lechenii simptomaticheskoi epilepsii u detei. Avtoref. dis. … kand. med. nauk (in Russian)]. SPb. 2016; 23 s.
5. Tadevosyan A. R. Combined treatment of children with cerebral ar teriovenous malformations accompanied by epileptic seizures. PhD diss. [Kombinirovannoe lechenie detei s tserebral ’nymi ar teriovenoznymi mal ’formatsiyami, soprovozhdayushchimisya epilepticheskimi pristupami. Av toref. dis. … kand. med. nauk (in Russian)]. SPb. 2016; 22 s.
6. Rossi G. F. Indication, advantage and limits of the different relationales of surgical treatment of epilepsy. ActaNeurochir. 1984; 30: 7-13. 7. Alexandre V. Jr Walz R Bianchin M. M. et. al. Seizure outcome after surgery for epilepsy due to focal cortical dysplastic lesions. Seizure. 2006; 15: 420-427. 8. Barkovich A. J. Diagnostic Imaging: Pediatric Neuroradiology. Amirsys Inc. 2007; 1058. 9. Hader W. J., Mackay M., Otsubo H. et al. Cortical dysplastic lesions in children with intractable epilepsy: role of complete resection. J Neurosurg. 2004; 100 (2 Suppl Pediatrics): 110-117. 10. Kuzniecky R. I., Jacson G. D. Magnetic Resonance in Epilrepsy (Neuroimaging techniques), 2nd Edition. Elsevier. 2005; 442.